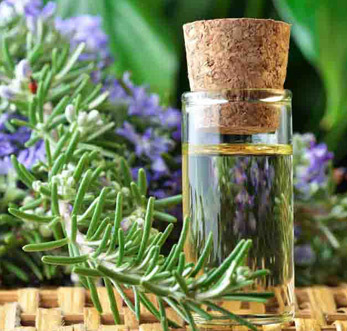 Rosemary Essential Oil is extracted from the evergreen rosemary shrub that grows up to 40 meters & has a flat crown. The bark is a reddish-brown in color that is deeply open with needle-like gray-green leaves. The oil is widely known for its fragrant aroma and is considered as an excellent herbal remedy for increasing mental power and awareness. Rosemary essential oil is widely used for all types of respiratory problems, colds, asthma, and lung congestion. The oil is used in medicine that help in treating acne, eczema, dermatitis, and over production of oil and thus, is used for healing different skin problems. Further, the oil acts as brain stimulant that enhances the power of the brain and has excellent effect on central nervous system.